Oxford Filtration Ltd is a market leading manufacturer of simplex and duplex basket strainers and self clean filters and other fluid straining equipment. Founded in 2000 our reputation is based on the innovation of our product design within the filtration industry. Our products are seen in many of the largest companies worldwide often serviced by a local representative. We operate from our manufacturing facility in Windsor in the U.K. (conveniently close to Heathrow) which has a full machining facility. We have a technical sales team in the UK at your disposal. We also have major international distributors in the U.S.A., Singapore, Malaysia, Australia, Spain, Finland, Italy and South Africa who stock our products. In addition we have local representation in Mexico, Brazil, Canada, Norway and New Zealand. We stock most standard strainer products in cast iron, carbon and stainless steel and in most pipeline sizes with ASA and DIN flanges and screwed BSP and NPT offered. We offer higher pressure designs to demand and also other materials which are often not routinely stocked such as bronze and hastelloy. 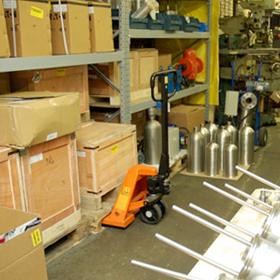 Our design team can offer designs to customer bespoke requirements encompassing pressure vessel standards such as PD5500, ASME 8 and EN-13445. 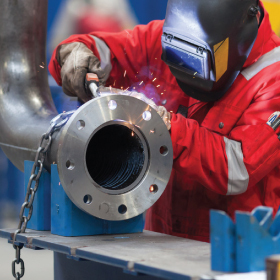 Our on site metallurgist deals routinely with all material queries on castings and fabrication work, and material and test certificates are naturally routinely available. Programmes are available on this site developed in house by our engineers to provide quick calculations of pressure drops on our strainers from basic process data. It is the policy of Oxford Filtration to continuously improve our products. The right is reserved to amend specifications and products without prior notice. We offer our products strictly in accordance with our terms and conditions available on request.